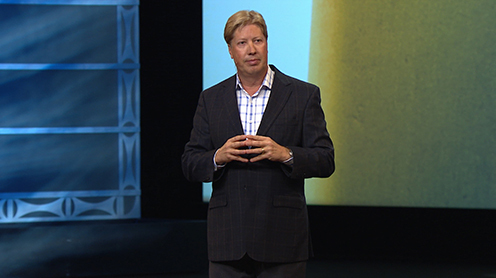 Robert Morris is the founding senior pastor of Gateway Church, a multicampus church in the Dallas/Fort Worth Metroplex. Pastor Robert Morris began to plan a Bible-based, evangelistic church in Southlake, Texas on September 16, 1999. Gateway Church’s first service was held on Easter morning, April 23, 2000, at the Hilton Hotel in Grapevine. About 180 people attended the service. Since the church began in 2000, the church has grown to more than 39,000 active members. He is featured on the daily television program The Blessed Life and hosts Worship & the Word on radio stations across America. He serves as chairman of the board of The King’s University. Robert and his wife, Debbie, have been married for over 37 years and are blessed with one married daughter, two married sons, and eight grandchildren. He is the bestselling author of eleven books including The Blessed Life, From Dream to Destiny, The God I Never Knew, Truly Free, Frequency, and The Blessed Church. On September 16, 1999, Pastor Robert Morris began to plan a Bible-based, evangelistic church in Southlake, Texas. Gateway Church’s first service was held on Easter morning, April 23, 2000, at the Hilton Hotel in Grapevine. Approximately 180 people attended the service. The church grew, and moved to an old movie theater in Grapevine. According to the Fort Worth Star Telegram. In June 2003 the church moved into a 64,000-square-foot (5,900 m2) campus on Southlake Blvd. In 2010 Gateway opened its current 4,000-seat sanctuary, 64-acre (26 ha) Southlake campus. In 2016 Gateway reported official giving records totaled over $500 million for the previous four years (2013–2016). For 2016 their annual report showed revenues of $127.2 million minus $123.9 million expenses, $3.5 million less than total revenue. Gateway also spent $9.9 million on land and other expenditures which includes the land for the Frisco location and the Dallas campus. In 2017 Gateway Church confirmed 10–15% downsizing of their entire staff. The downsizing story gained national attention by other church media outlets. Hear Robert & Debbie share their feelings, emotions, and experiences giving away everything they own, learning to hear God, and being blown away by God’s provision when they hear & obey.